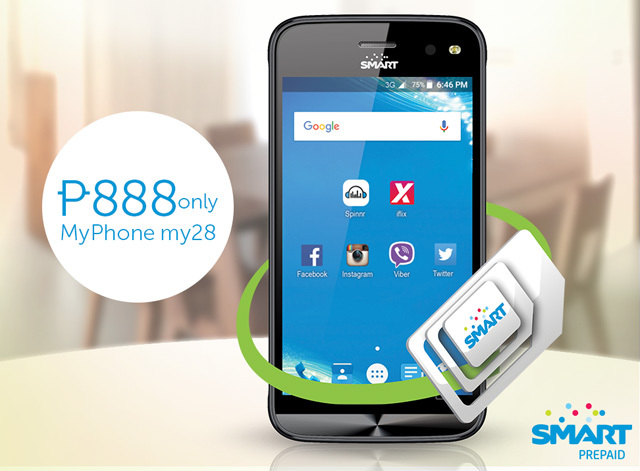 Smart and MyPhone offers quad-core smartphone My28 at Php 888. It comes with 100MB of data every month and other exciting bundles! Check everything you need to know here! 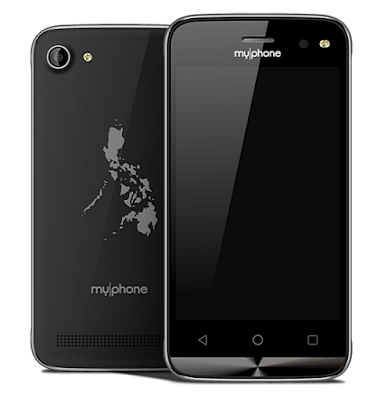 MyPhone and Smart Communications tag-teamed to offer the My28 smartphone as the cheapest quad-core handset in the country. For an asking price of Php 888, you can get a capable 4-inch daily driver. Aside from the handset, the duo is also offering a handful of freebies and bundles when you grab the MyPhone My28. MyPhone My28 Specs: Is it a legit smartphone? The answer depends on your definition of "legit." However, if you're testing the waters of Android OS or trying to start using a smartphone for the first time, this is definitely the best deal that you'll have in years. Specs-wise, the MyPhone My28 is the entry-level offering of the company's My series. It packs a 4-inch WVGA (480 x 800 pixels) display, 512MB of RAM and an expandable 8GB of internal memory to start with. It also sports a 5-megapixel shooter coupled with a 2-megapixel front-facing camera that'll be ready anytime you feel like capturing precious moments. The Android 5.1 Lollipop operating system is my favorite feature; this could infuse a sleek appeal and smooth experience in the handset's UI. What else can I get with my Php 888? The box comes with a TNT and Smart prepaid SIM bundled with 100MB of FREE data EVERY MONTH for 12 months. Plus, you'll get unlimited access to Facebook, Twitter and Viber for 7 days on top of the two-day all-network SMS. That's not all, you'll also get to have a Php 30 rebate if you top-up at least Php 100 a month. Where to get the MyPhone My28? The MyPhone My28 is available nationwide in both MyPhone concept stores and Smart Wireless stores. Is MyPhone My28 an openline smartphone? Since 50 percent of the price is subsidized by Smart, you can only use Talk N Text and Smart SIM cards. You can get the MyPhone My28 in White, Black, Yellow, Red and Blue hues.